Home · Property Management · Tenant Screening : Would You Like to Find Out If Your Applicant Has Bounced Checks? Would You Like to Find Out If Your Applicant Has Bounced Checks? Wouldnt you like to find out if an applicant has written bad checks before you hand over the keys to your property? A credit check for a renter won’t tell you. But it’s easy to find out, because the TeleCheck® Check Verification Service is available to AAOA members, and doesn’t require any verification like running renters credit reports. TeleCheck offers the most accurate check verification service in the industry. These databases provide merchants with continually updated information including bad check activity as it occurs, automated inquiries using the consumers identification (Drivers License or State ID) as well as checking account data. An applicants check writing history, just like renters credit reports, can indicate what type of renter they will be. 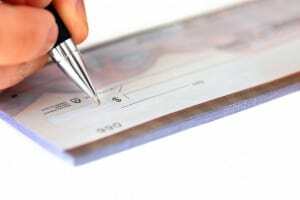 Similar to a credit check for a renter, the basic Verification service quickly separates good and bad check risks using TeleChecks negative database. This database comprises more than 51 million bad check records and can help detect a poor rental prospect, as well as a fraudulent application. Credit reports for tenants cannot always detect a fraudulent application. The Verification with Risk Management service uses both TeleChecks check writer activity and negative databases along with its risk management system to identify not only bad check writing risks, but also good ones. The risk management service utilizes TeleChecks risk and predictive-modeling systems to analyze over 30 variables to predict the probability of a check being good. These assessment tools include regression modeling, neural networks, & decision tree analysis, an analysis you don’t get with a credit check for a rental. To access the service or do a credit check for a rental, log in, or visit www.joinaaoa.org to sign up for one of our membership options. American Apartment Owners Association offers discounts on products and services related to your commercial housing investment including REAL ESTATE FORMS, tenant debt collection, tenant background checks, credit reports for tenants, insurance and financing. Find out more at www.joinaaoa.org.